New perspectives on Early Childhoood Education: free meeting at IoE in London. 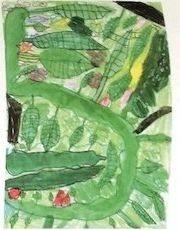 Here is notice of a free half-day conference at the IOE which may be of interest to Sightlines members: 'Early Childhood Education and Care: Alternative Perspectives, New Debates' on Wednesday 13th December. Peter Moss will be speaking and there are workshops on a range of different topics. "Early childhood policy and practice in England is under pressure. It is dominated by an instrumental, economistic and positivistic narrative, expressed in a vocabulary of learning goals, school readiness, baseline assessment, investment and returns, and markets. At this afternoon event, to which you are warmly invited, we will debate alternative narratives with eminent researchers who offer different perspectives on how early childhood might be. Sessions offer opportunities to hear about and contribute to critical issues and themes such as participation, the impact of the market on access, international development, and measurement. Organised by the Thomas Coram Research Unit, the event promises to be a rich afternoon that will be followed by the launch of an important new book, 'The SAGE Handbook of Early Childhood Policy' where Professor Jane Payler (The Open University) will provide a short introduction."